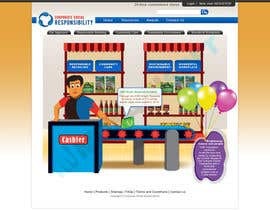 This is a Corporate Social Responsibilty Microsite for a Large Retailer. Singapore’s largest retailer, with a network of more than 270 stores comprising of supermarkets, 24-hour convenience stores, up-scale Supermarkets, and online web portal. The website is for the (a) consumers – including customers, suppliers, partners, media etc, and (b) Local and international CSR networks. 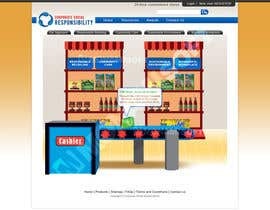 A) The CSR Microsite layout will be in the form of a supermarket store with interactive features. The design, animation and visuals should portray the company aligning with below vision & mission. B) The design should be engaging, with attractive and innovative functions, and portray a professional image throughout. 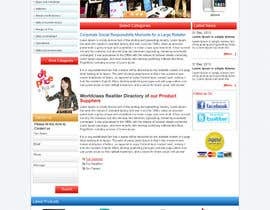 The user interface shall be simple, user-friendly, informative and interesting. To provide customer with the best value, quality products and excellent service, be a preferred employer, to moderate the cost of living in Singapore and serve the need of our members, the labour movement and the community. Timeline is very tight, so looking for something within the next few days. Prefer something image OR Illustration heavy. 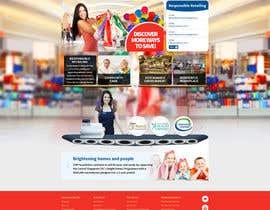 Website is singapore based, so try to use images of Singapore. 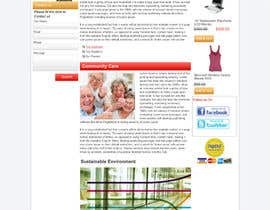 Another possibility is to make a 1 page website - where as the user scrolls all the pages are below each other. I leave it up to your creative juices. I will need atleast 2-3 pages to be able to judge your work.. I will be available to give you comments. Please be creative.